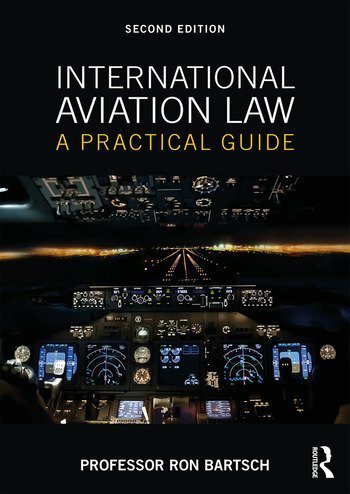 International Aviation Law: A Practical Guide explains the international context and application of the law as it applies to commercial and recreational aviation, and to the broader aviation environment. It provides a comprehensive introduction to all aspects of aviation law, from criminal law to contract law, to the legal duties and responsibility of aircrew and other aviation personnel including airport operators, air traffic controllers and aircraft engineers. Each area of the law is clearly explained in accessible language and supported with practical case studies to illustrate the application of the law within an operational aviation context. It also provides advice on how to avoid or minimize legal liability for those working in the aviation industry. Thoroughly revised and updated throughout, this second edition adds new material on subjects such as unmanned aircraft systems, ASEAN’s Single Aviation Market, common rules on compensation and assistance to passengers, and a discussion on the impact of Brexit to the UK’s aviation market and legal status. Professor Ron Bartsch is a world-renowned aviation lawyer, academic, airline executive and company director. Ron regularly presents at international forums on aviation law and more recently in the field of unmanned aircraft. Ron was admitted as a barrister to the High Court of Australia in 1993 and served as a presiding member of the Administrative Appeals Tribunal as an aviation specialist from 2013 to 2017. Ron was appointed as inaugural Professor of International Aviation Law at the Aero-X School of Aviation in New Delhi and Senior Visiting Fellow at the Australian National University and the University of NSW, Australia.